For many of you the first weeks of school have been altered due to hurricanes, our thoughts are with you. This too shall pass and soon your hectic school year calendars are full. It takes a village to get the kids out on time, but now you have a new way to get a wholesome breakfast in your kids before you kick them out the door. 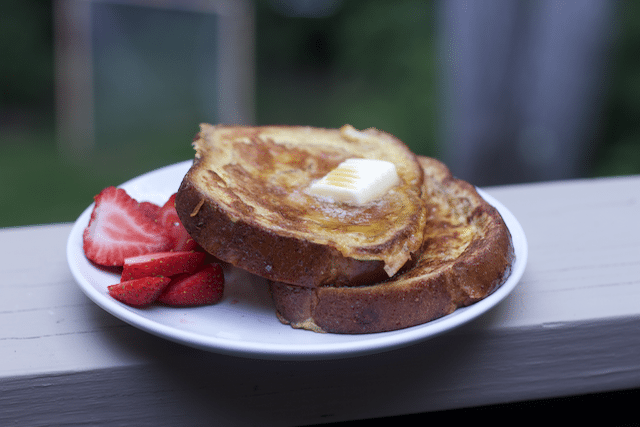 French Toast is a great breakfast for Kids. Making a Apple Cinnamon Swirl French toast sounds too gourmet for busy school days? Not any more thanks to the new Pepperidge Farm Swirl Oatmeal Breads that have recently come to the market. 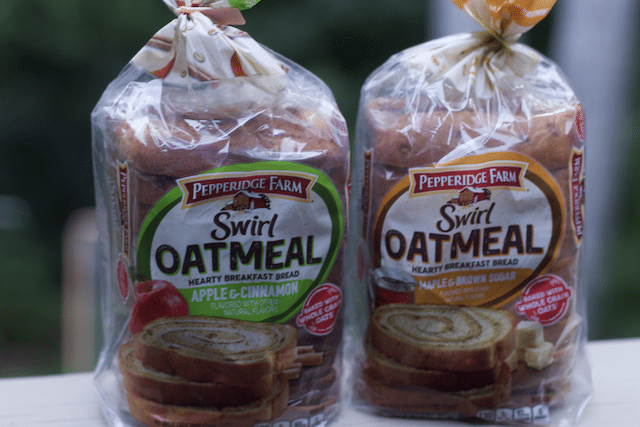 Pepperidge Farm Swirl Oatmeal Bread comes in two flavors Apple & Cinnamon and Maple & Brown Sugar. Of course as a mom you want to know they are baked with whole grains, no high fructose corn syrup, a good source of fiber, and no artificial colors, flavors, or sweeteners. So now that you have my little secret on how I am going to make my kids a gourmet breakfast with a little short cut, let’s get cooking. 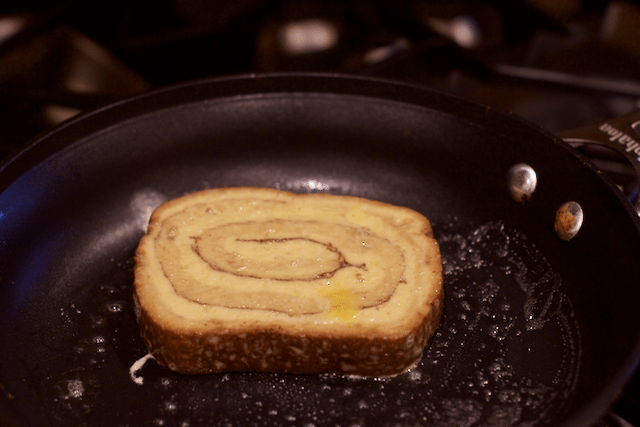 Starting out with a unique breakfast bread not only brings new flavors to the plate but gets kids to try new things. The kids might even like French Toast Sticks. 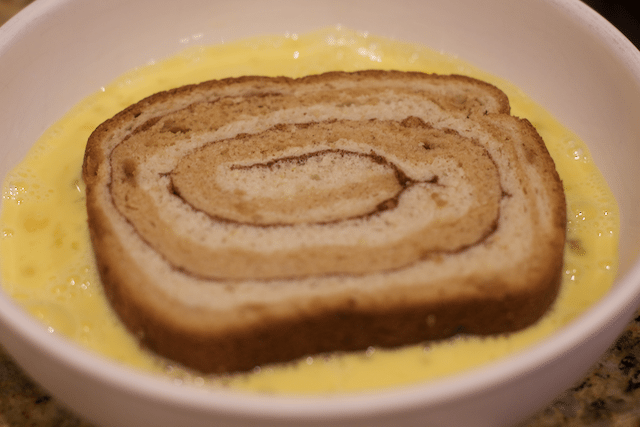 Our first batch of Swirl French Toast was with the Pepperidge Farm Swirl Oatmeal Bread Apple and Cinnamon. You can see the many layers of favor in each slice. It is almost too pretty to dip and fry in a pan. The trick to add a little flavor is to use coffee creamer with our eggs. Personally I use Coconut Milk Coffee creamer that is Vanilla flavored. It gives a richer egg mixture than milk alone. Put it in a pan coated with some melted butter for more flavor. Look at just how thick each slice is. 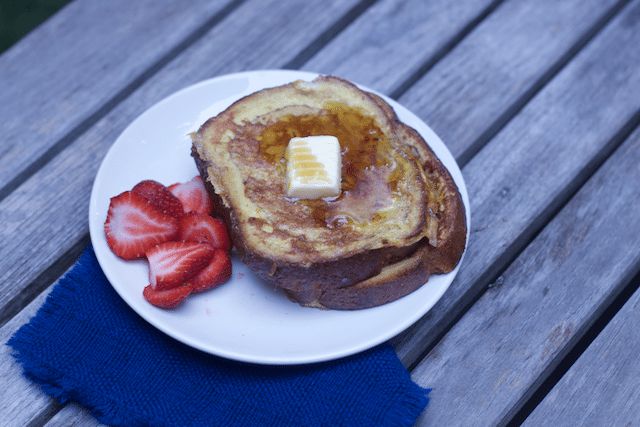 Such a hearty breakfast bread that will not take much to fill up your kids with a hearty breakfast filled with flavor and the extra protein of the egg. Top each slice with some butter and Maple Syrup to round the flavors together. Put some fruit on the side of the plate just to hint to the kids to eat them. Trust me they will definitely get thru the French Toast in time for the bus. 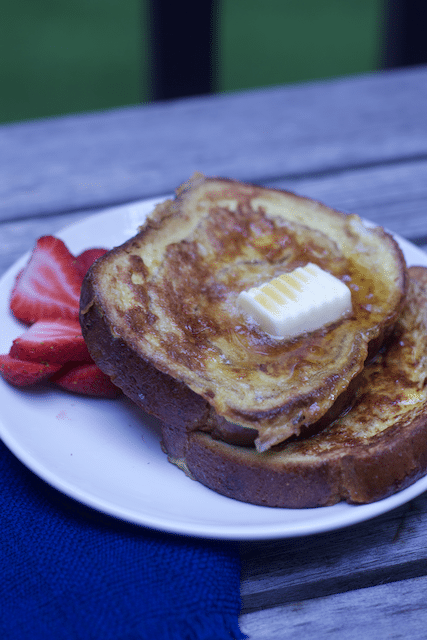 Which of the Pepperidge Farm Swirl Oatmeal Breads will you make into french toast? Be sure to grab a $1 off coupon too.